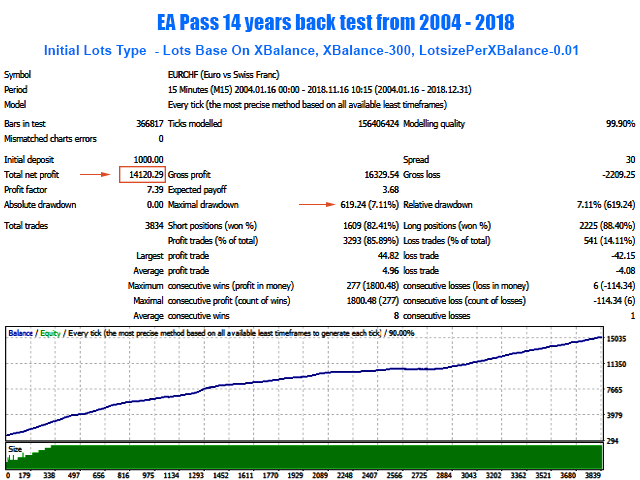 The CAP Professional EA is a fully automated EA that uses a advanced grid trading approach. 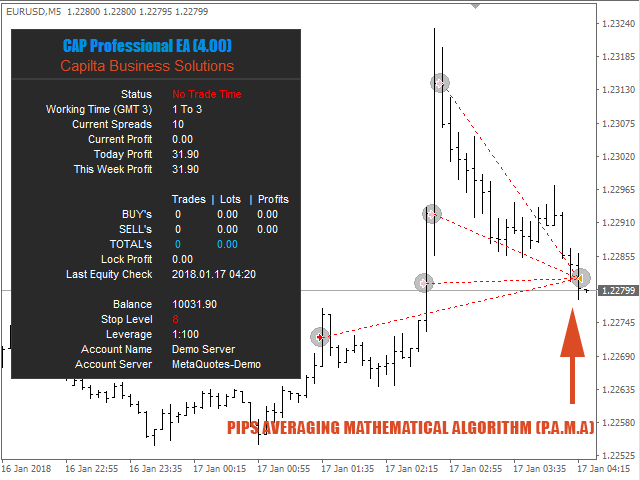 It uses unique price action trading system with advanced self-adaptive processing unit. EA Settings: Please Download Setting from our Monitoring Account. 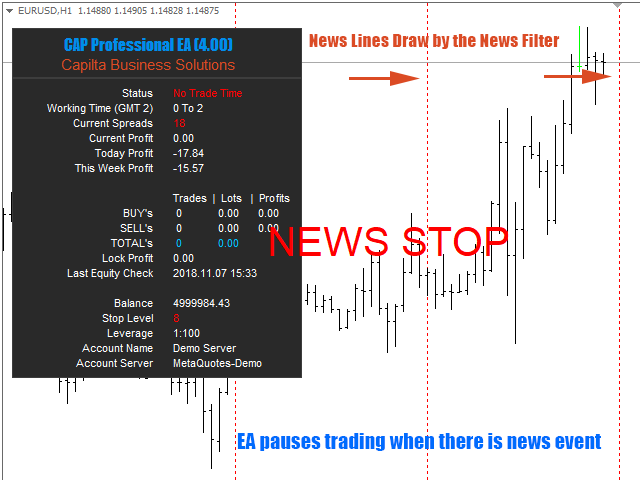 When loading the EA to any chart, you will be presented with a set of options as inputs. Do not despair if you think they are too many, because parameters are grouped into self-explanatory blocks. This is what each block of parameters does. Mohammad Ali, technical analyst and speculator, software engineer and founder of Capilta Business Solutions. 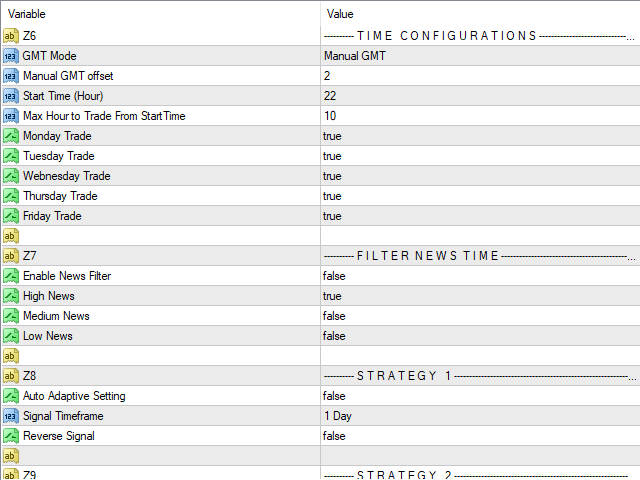 --> News Time in Mins (before & after) : You can set mins to stop on news time. Example if you set 60 that mean EA will stop trade before and after 60 mins. (total 1 hours) on new time. --->Found bugs Daily Max Trade not work properly. This bugs fixed this version. -->EA Use Four Internal different strategy. 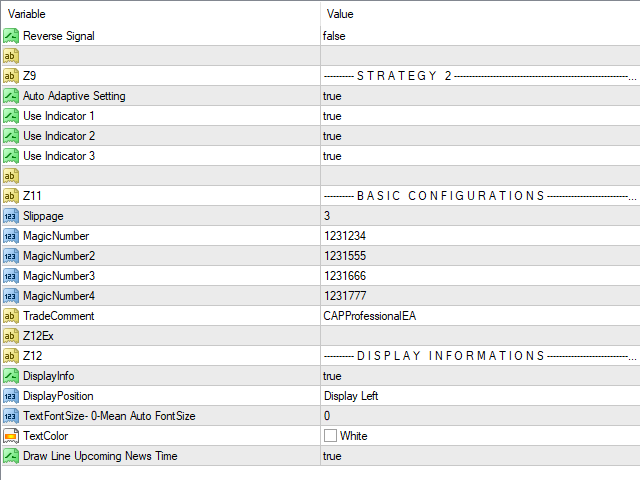 Previous version EA has only one input of "MagicNumber" in Basic section. In new version EA has hour different MagicNumber. 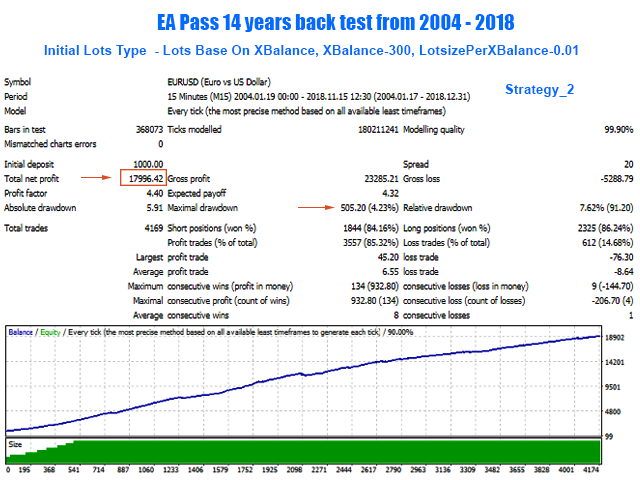 So now it is safe EA use both Strategy (ST1 and ST2) in same account. IMPORTANT- Update only when you have no existing trade. 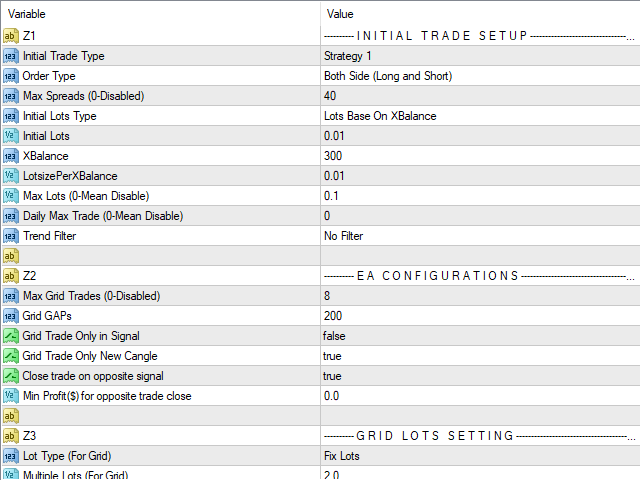 --->TakeProfit For Grid and StopLoss For Grid (Deleted). 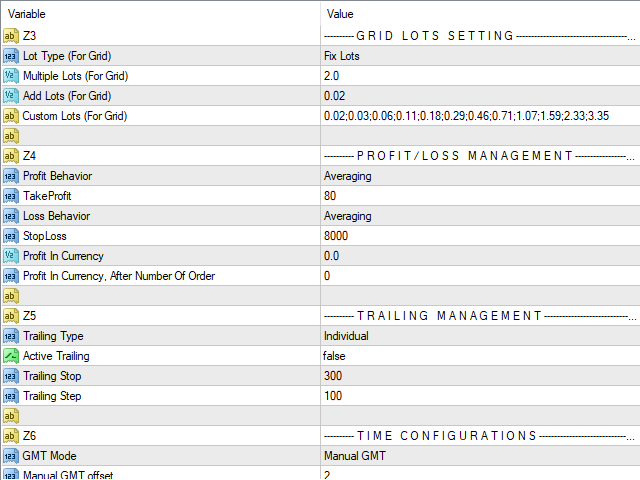 TakeProfit and StopLoss value will count as for TakeProfit For Grid and StopLoss for Grid. We remove some input for easy way to find optimize setting. 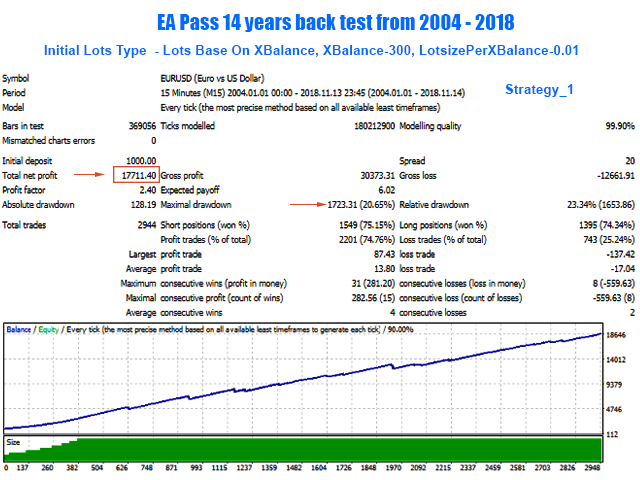 --Faster backtest then previous version. --ReverseSignal not working properly in previous version. We fixed it.